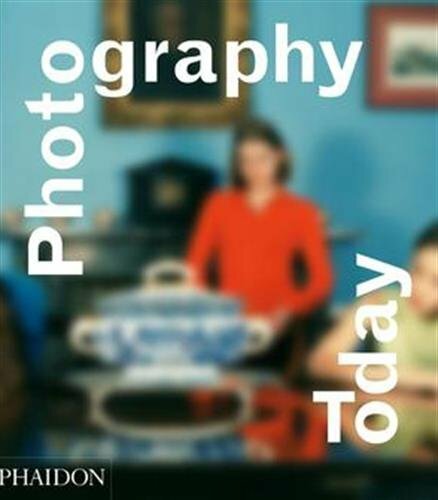 I thought perhaps that the title referred to contemporary photography rather than, as it turns out, creativity from 1960 onwards. Mark Durden considers the work of 164 photographers, each getting between one and four images (some get more if a spread from one of their photobooks is included) but I thought the strength of the book is the way he looks at their work, not an A to Z of names or a strict historical survey but eleven themed essays. The titles will give you an idea of the book's scope: The copy; The face; Colour; The street; Landscapes; History; The body; Documentary; Self; Constructions; Photography tomorrow. Each of these essays has a short introduction followed by a photographer getting a several hundred word analyses and samples of their work. I suppose one could query the way Durden slots various people together. For example part of Landscapes is further divided into Sublime: Thomas Struth; Andreas Gursky. New topographics: Robert Adama; Lewis Baltz. Romantic: Thomas Joshua Cooper; Roni Horn; Jem Southam. Documentary landscapes: Joel Sternfeld; Richard Misrach; Edward Burtynsky. Throughout the book these chapter sub-divisions seem to make perfect sense and nicely Durden's writing style is jargon and elitist free making his photographer essays well worth reading. Because there are so many photographers considered it's a pleasure to come across names I had never heard of and discover new works. This 464 page book, with over 500 images is a handsome print production with plenty of large size photos (in 200 screen) though being a Phaidon book means that the layout has its quirky moments. Here the two columns per page of the photographer essays have several of the first lines indented and the number varies for each name, pure design whimsy in my view as it contributes nothing for the reader. Similarly the short biographies are in the back pages rather than placing them with each photographer's page. Mark Durden has written an interesting and worthwhile book looking at several recent decades of visual creativity.